One of my favourite châteaux in the Médoc, Ch. 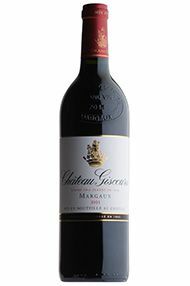 Giscours has been making consistent, hugely enjoyable and affordable top quality Margaux since 2000, and 2012 is certainly no exception. Sometimes criticised for producing a more ‘masculine’ style of Margaux (that I thoroughly enjoy), this is not the case this year. Multi-layered, refined with a beautiful freshness and elegance that is the personification of its commune, this will be a reasonably early drinker that will deliver great satisfaction in a few years..
Quite brilliant! An incredibly seductive, inviting nose of ripe and cool Cabernet, leading to a spectacular, plump but defined, powerful yet precise mouthful of decadent and moreish black and red summer fruits. The tannins are so fine they are hardly apparent within the generosity of the fruit. The length is spectacular and this is one of the best buys; it is Second Growth in quality. This Cru Classé Margaux is consistently a team favorite at En Primeur tastings. In 2004, Ch. Giscours produced a restrained and precise wine. Powerful yet sophisticated, densely fruited yet refined, this is one of the most structured wines of the Margaux appellation. The 2004 vintage is seriously under-rated; its cool style, elegant fruit and structure allows the terroir to shine through. There are generous helpings of blackberries and cream on the palate here and they sit wonderfully alongside the elegant Margaux femininity. Fine tannins, crunchy black fruit and excellent length. There is a wonderfully tasty minerality, structure and texture, which is typical of this commune. Focused and direct, it is a real pleasure to taste this wine. This is a serious, grown-up Ch. Giscours. I love the precision and character. It is so representative of Margaux. 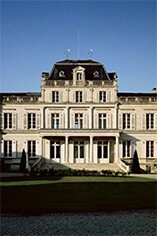 2011 is another masterful vintage from this great Margaux estate. 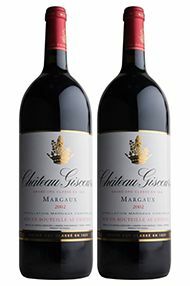 I’m drinking my 2001 and 2002 Ch.Giscours at home at the moment, and both are singing. The 2011 is going to be even better. Not quite 2009 or 2010 level but only a fraction behind and will drink earlier than those two great years. Sweet black fruits with a real sense of richness and depth that few properties have this year. Exceptional 3 minute finish which only makes you want it to mature faster so you can pull the cork and get on with it! Delicious. Wonderful, this is the best Giscours since 1970. A great waft of fruit on the nose is amply supported by a palate that epitomises the best of 2005 Bordeaux: it is full and rich yet is also very fresh with ripe but firm tannins and a lovely minerality. Making 25% less of the Grand Vin than in 2004, this is reminiscent of the 1990 vintage but is cleaner with better acidity. This is very classic, masculine and serious and makes an ideal counterpart to the more approachable Du Tertre. Once again, the Margaux terroir shines through here, with wonderful concentrated fruit and a structure that marks it out as a real vin de garde. Giscours was one of my favourite wines of the week. It is multi-layered with an ultra-fine tannic structure that makes you really fancy drinking it now! It has a great, juicy density that's completely compelling. Not as complex as 2010 but definitely up there with the 2009 Giscours. 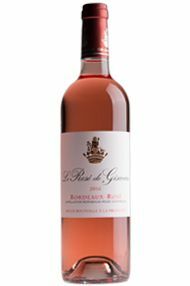 A favourable euro rate, a bountiful crop and a savvy head honcho at the Château will see this coming in at a great price and early release. No pressure there then. Round and seductive, Ch. Giscours is brimming with dark fruit this year, showing an inky colour. It is neatly packed with dense fruit, with good concentration and luscious tannins. Black fruit dominates the nose and palate. There is an elegance here, alongside a structure which demonstrates the super terroir of this property and indeed the appellation. Cool, refreshing acidity appears on the finish and textured tannins complete a really attractive mouth-feel. A broad, fleshy fruit profile really appeals. The long, late harvest of 2008 resulted in such ripeness at Ch. 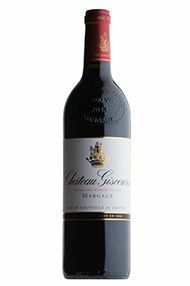 Giscours that, for the first time since 1995, five percent Cabernet Franc was of high enough quality to be added to the blend (along with 65 percent Cabernet Sauvignon and 30 percent Merlot). Lower than normal yields have created a concentrated wine with a creamy blackcurrant palate, fine-grained tannins and spicy, oak complexity. Almost Burgundian in structure, there is a lovely roundness to this wine which is completed by an impressively long finish: a beautiful wine. Much of the estate lying outside the commune and therefore providing a bit more backbone than most other Margaux is arguably a good thing in 2013. The 75% Cabernet Sauvignon provides Giscours with a deep intensity of crunchy blackberry fruits and energy few others have managed. A hit of beautifully sweet ripeness on the palate combined with fine, ripe tannins, gentle but balanced structure will give immense drinking pleasure in the next 5 to 15 years. An honest estate making the most of their terroir year in year out and a rare opportunity to have a quality Margaux on your table for less the £30 a bottle, difficult to say no! A vibrant red colour, with redcurrant and blackberry on the nose, weaved with a touch of spice. 75% Cabernet Sauvignon gives a kick of cassis on the palate which flows neatly through the wine. Structure is very gentle and this should be approachable relatively early. Touch of toast on the finish. One of the successes in the Margaux appellation this year. There is a record amount of Cabernet Sauvignon in the blend this year and it has helped to create a lovely expression of Ch. Giscours. There is a good balance, a touch of sweetness, ripe engaging fruit and superbly integrated tannins. A fraction paler than last year and lighter than one might expect of Bordeaux Rosé but this is very much fruit forward with spicy raspberry and strawberry flooding the palate. Generous in every sense. Good acidity and so there’s plenty of freshness with some spice at the back of the palate. Vibrant and easy to enjoy. As ever I’m unshakeable in my belief that a wonderful Spring and Summer awaits, this 2016 will go down very well indeed. Martyn Rolph, Private Account Sales Manager.